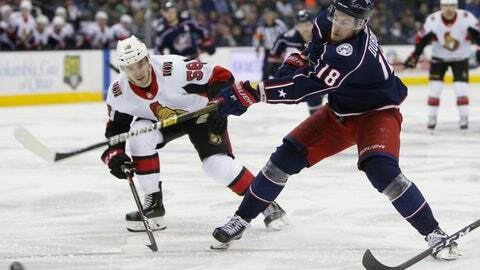 COLUMBUS, Ohio (AP) — Columbus coach John Tortorella didn’t want to talk much hockey after the Blue Jackets‘ wild New Year’s Eve win over the Ottawa Senators. NOTES: Columbus’ five goals in the final 20 minutes matched a franchise record for most in a period. … F Anthony Duclair moved to Foligno’s spot on the second line and Lukas Sedlak was back in the lineup after being scratched the past five games. … Columbus is the only NHL team with four defensemen with at least 13 points. … Werenski has six points in the last five games.